GEM RETRO is a plug and play Bluetooth and ANT+ connectivity solution for CSAFE enabled fitness equipment allowing realtime tracking of workout performance with smartphones, tablets, and group fitness leaderboard software. GEM RETRO integrates with CSAFE enabled cardio equipment including, treadmills, stationary bikes, steppers, step mills/stair mills, ellipticals, total body trainers, tread climbers, and rowers. Certified with FCC, CE, IC, RoHS, and Bluetooth Smart. Available in U.S.A., Canada, United Kingdom and CE countries. Your GEM purchases comes with a limited One Year Warranty. 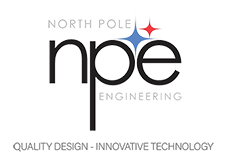 NPE will repair or replace any unit found to have a manufacturing defect within the warranty period, provided that notification is given within the warranty period and the product is returned to NPE. The warranty period is determined from initial product shipment date from NPE. Mishandling of the GEM RETRO is not a manufacturing defect. Once you get the GEM Retro configured it does send basic info such as pace and incline to apps like Zwift. I bought this product with expectations that it would be able to control the incline from Zwift as well, meaning that if the course starts to climb on Zwift the treadmill would increase the incline as well. This does not happen. I read an early review from a trusted reviewer (DC Rainmaker) stating that this module would allow incline control so I'm a bit disappointed and it's unclear who, Zwift or NPE, could make this happen. Setup is unclear and there are no instructions in the box. I had to search the web, eventually finding a pdf that walked me through the process. Honestly, I believe a Garmin Foot Pod would do nearly everything that this does at half the price. I apologize for the issues you’ve experienced. One of our GEM engineers will be contacting you shortly to help with the questions you have. 1)	First and foremost, Zwift didn’t implement equipment control in their software for treadmills. Also, only a few brands allow equipment control through the CSAFE port. 2)	We will update our store site to make clearer instructions for these treadmill and bike units. 3)	Regarding DC Rainmaker’s article, we did have him correct this statement a few years ago when the review was originally posted. It is a footnote in the article so may have been missed by the reader. Thank you for bringing your concerns to our attention. We will update our website to help provide better instruction for our customers. I purchased the GEM to use on my Life Fitness Club Treadmill with a csafe port. I connect it to zwift run. Compared to all the other others, the gem is flawless! Never need to worry about power, warmup, accuracy compared to treadmill speed, etc. It just works!! I feel sorry for the folks who spend tons of money on a home treadmill with a fancy display. They could have spent less and got a gym quality treadmill like the LF club and connected the GEM and be off and running.